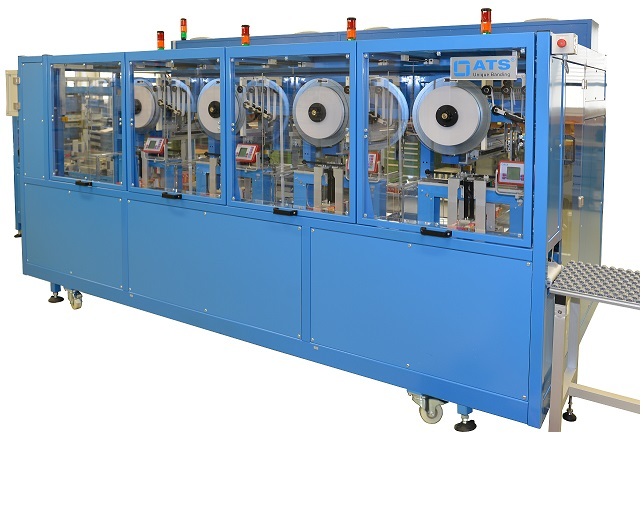 The fully automatic ATS US-2000 MLQ-DTS Ultra-Sonic Banding System accepts small boxed product directly from a production line and divides the product into two streams. Easily select the stack size, position of the band and the servo modules on the touch screen. The products are then turned on their side, accumulated into the necessary count, then banded using our signature edge-protecting band. 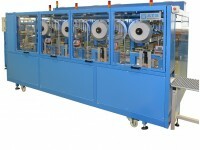 Operation of the three other banding machines is ensured during roll changeover.  Quickly receive a return on your investment with this multi-line banding system, along with the added benefit of lower material costs (compared to shrink film) as well as reduced energy costs (no heat tunnel). 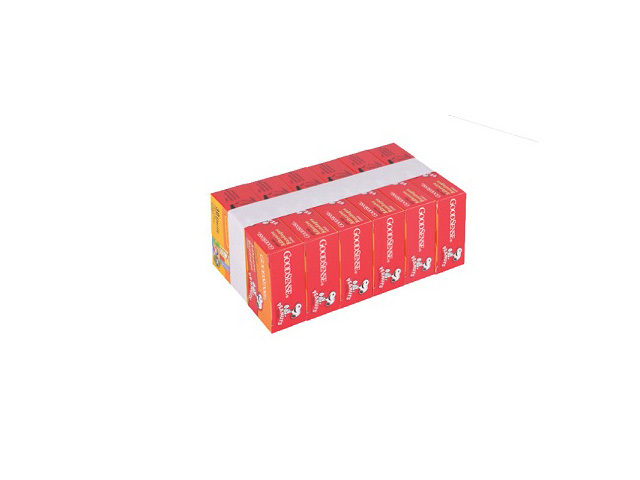 Retailers appreciate the rapid tearing of the paper band for POS, with labor savings up to 80%. Depending on the product size, stacks are possible from count of 2 up to count of 10 up. Wide range of box sizes accepted.